NBC has renewed their new fall medical drama for a second season. 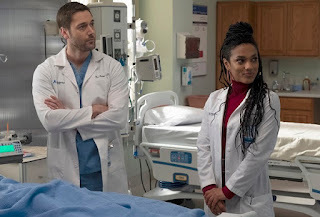 New Amsterdam will be back next season, after delivering solid ratings throughout its season. The series started out as the lower rated of NBC's two fall dramas, but has since been tying or even out-rating Manifest, with both having average performances of 1.0 in recent weeks. Ryan Eggold, Janet Montgomery, and Anupam Kher star in the series, which currently has a seasonal average of 1.25. This is a correct prediction for The TV Ratings Guide, which had the show listed as a Likely Renewal as of our latest NBC renew/cancel column. What do you think of this news? Will you be tuning in for season two of New Amsterdam? Let us know in the comments below!